The issue of formalin, a toxic chemical used to preserve human bodies, being used to preserve fish has got much media attention. 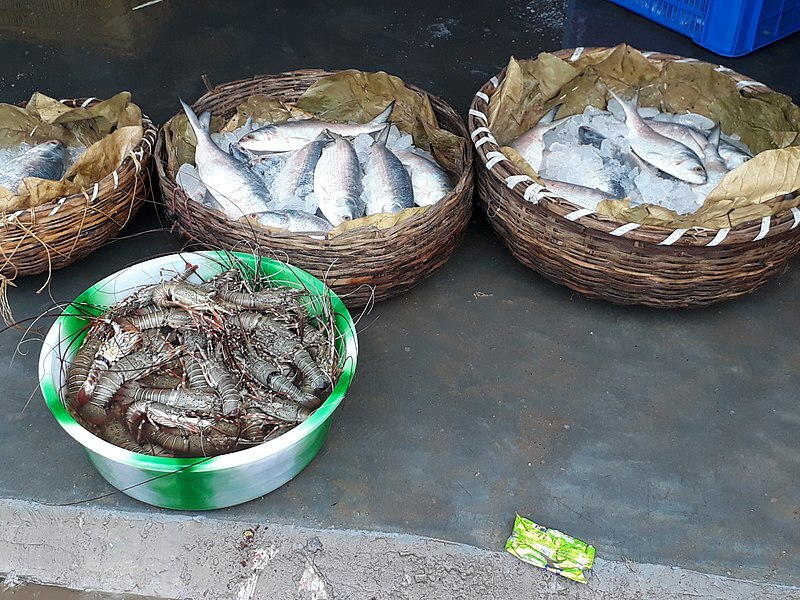 Starting with Kerala, where fish from Tamil Nadu allegedly contained traces of formalin, reports of formalin being detected have surfaced in Tamil Nadu also. Fish flows freely to and fro across the Tamil Nadu-Kerala border. Following reports from Kerala, Tamil Nadu food safety officials raided fish merchants’ storehouses in Tuticorin and Kanyakumari but didn’t find anything wrong. Formalin helps to preserve human bodies for days. It is inexpensive and available. But formalin, if consumed, is known to cause cancer, says K Ashok Kumar, professor at Central Institute of Fisheries Technology. Yet unscrupulous traders use not just formalin but also other toxic chemicals like ammonia and sodium benzonate, says M Ilango, chairperson of the National Fisherfolk Forum. “If sodium benzonate is consumed daily along with fish, it can cause allergies and eventually cancer, too,” says Ashok Kumar. In Kerala, it was said that the fish found with formalin were from Tamil Nadu and Andhra Pradesh. But officials deny that was the case. “We have conducted tests across Kerala and have found fish with formalin, ammonia and sodium benzonate. But they were not from any particular state. Fish comes from many states to Kerala, and we have found these chemicals in some of those fishes,” says food safety inspector Vijith. Ilango warns that it would be totally wrong to blame fishermen. “While fishermen may go to sea for long periods of time, they go equipped with deep freeze facilities in their boats. For every kg of fish they need equivalent amount of ice. Wholesale traders buy their catch when they come ashore and the fish is shipped to various places. Bad eggs in the supply chain use formalin,” says Ilango. Anto Lenin, a boat owner in Colachel, agrees with him. “The fish that fishermen catch is what their families consume. Besides salt for the ice, we don’t use any other material,” he adds. Ezhumalai, a fishermen from Pattinapakkam, pleads ignorance. “We buy ice and use it to store the fish we catch every day and sell it in the market,” he says. C Bergmans, a fisherman at Chinnamuttom, says fish is sold in the market the day it is caught. In Tamil Nadu there are not too many fishermen who go for days together and sell their catch at the local market. Those who go long voyages have deep freeze equipment, he says. Deep sea fisherman Irudayadoss says the boat the fishermen use cost Rs 1 crore and they have advanced freezers. It is possible that merchants who buy the fish may store the fish for many days to sell when there is no catch. “We don’t know what methods they use,” he says. Cuddalore fisherman Mohan Das expresses concerns that perhaps there are contaminants in the ice they buy. “Such rumours often turn people from fish to chicken,” he adds. You need to Register and Login to add your comments below. This topic contains 0 replies, has 1 voice, and was last updated by Kalyanaraman M 9 months, 2 weeks ago.